Marie-Thérèse gives birth to a child, but it's not the King's. Philippe wants to join the fight against the Spaniards. Montcourt is humiliated by King Louis. How many episodes of Versailles have you seen? Q: How long did the expansion of Versailles take? Q: Who sings the theme music to the intro and how do the lyrics go? Q: What noble house did Louie XIV come from? I've been waiting for what seems like ages for a series to come along that I look forward to each episode. This is it. Absolutely gorgeous, stunning settings, costumes and sets. The actors are fascinating. 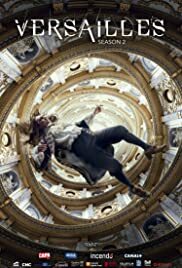 I don't care if it is minute by minute historically accurate as I can read a history book about Versailles and life there, but this is super interesting as a drama within that palace and time frame. Everyone is just so real. They are horrible, loving, scheming, nasty, lavish, flamboyant, crafty and violent, but isn't that what real life and humans are all about? I am loving the costumes, jewels, food, florals, decor and art. Fingers crossed for Season 2.